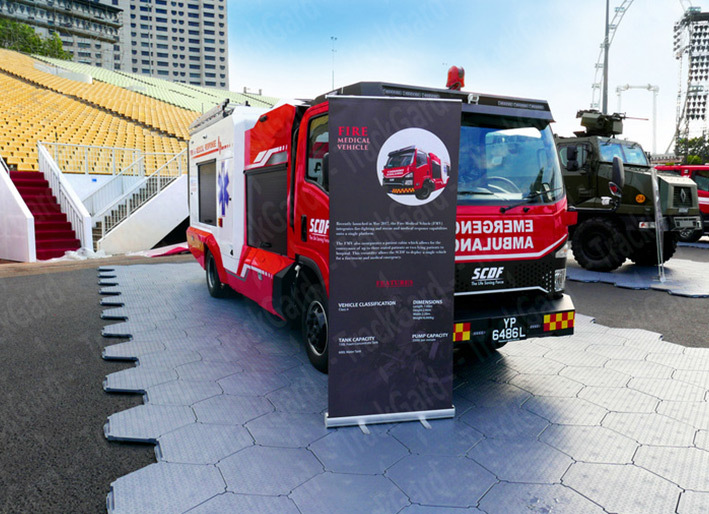 TrackGard® is a robust portable flooring for temporary access and ground protection over grass, sand, gravel, mud, asphalt or other unstable surfaces. It can be installed quickly to provide a firm support base for large vehicles and equipment. It is suitable for most rigorous large-scale events ranging from concerts to military and civilian projects. TrackGard® is ideal for use at stadiums, parks, race courses for ground protection as well as at construction sites and by the military for ground surface stabilization. 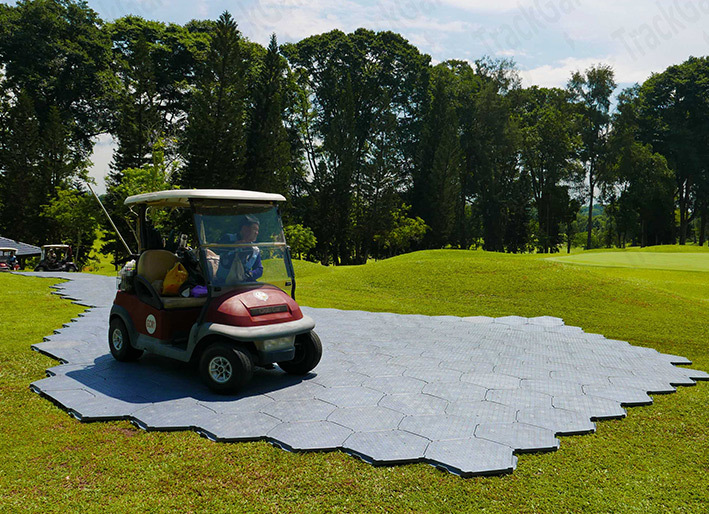 The hexagonal TrackGard® design allows adjacent tiles to interlock on six sides to provide excellent strength for heavy moving loads. 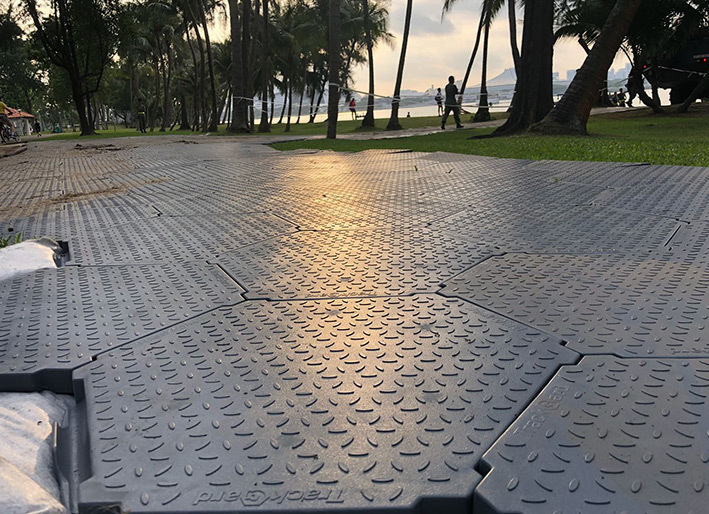 TrackGard® is easily installed by unskilled labour workers as there are no clips or other moving parts and it is completely modular, interchangeable and expandable. TrackGard® is made of UV-stabilized thermoplastics making it extremely durable and stable under most weather conditions. It is waterproof, has good slip resistance, and will not warp, splinter or corrode.